An original cadre ship acquired on 25 October ‘43 at Bruning, Nebraska, and assigned to Stewart’s crew who flew her overseas in December ‘43. 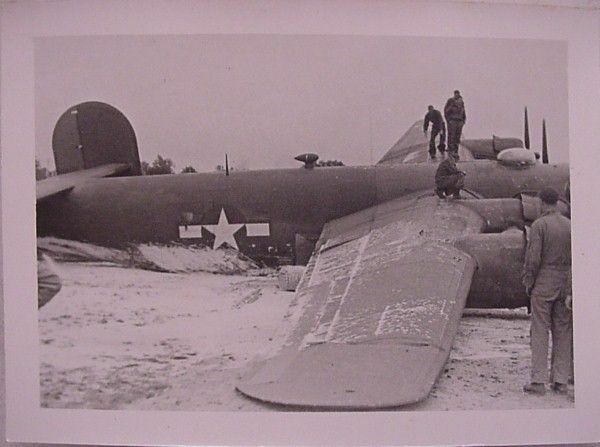 Crew chief was Joseph F. Skalak. 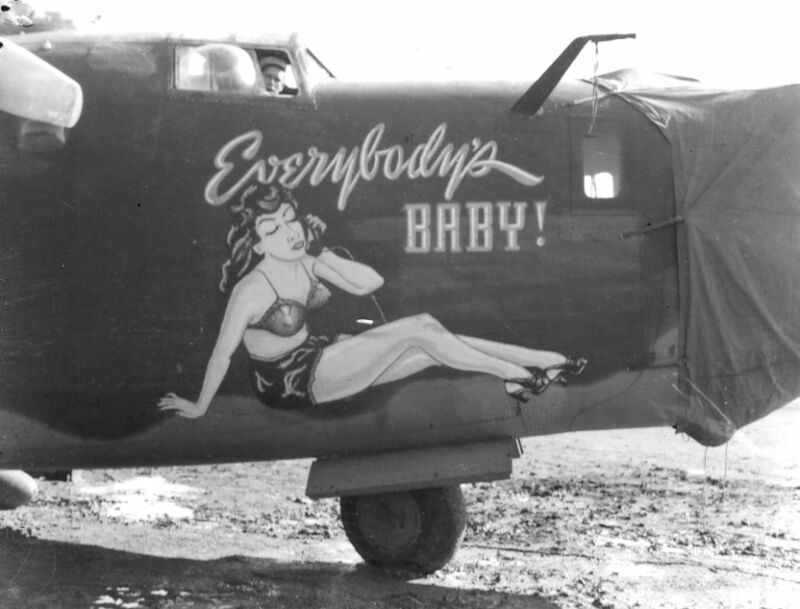 Her nose art was painted by Tom Pacette, a 718th mechanic, who copied her name and picture from a Franklin Aircraft Magazine engine advertisement. 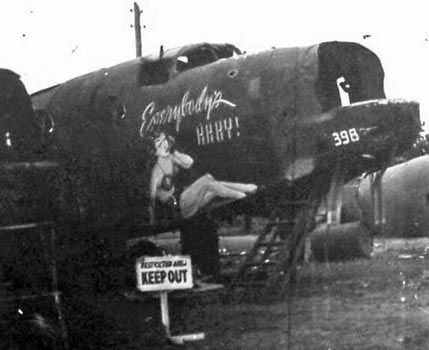 After several combat missions, she was severely damaged in a taxiing accident on 25 March ‘44, with her right main strut rupturing and the aircraft deemed irreparable, thus becoming one of the first aircraft to be salvaged for combat spare parts.